Hollywood seems to have an insatiable thirst for films involving demonic possession, from 1973’s The Exorcist and 1976’s Carrie, to more recent films like Dorothy and The Last Exorcism, filmmakers seem eager to put their stamp on the genre. 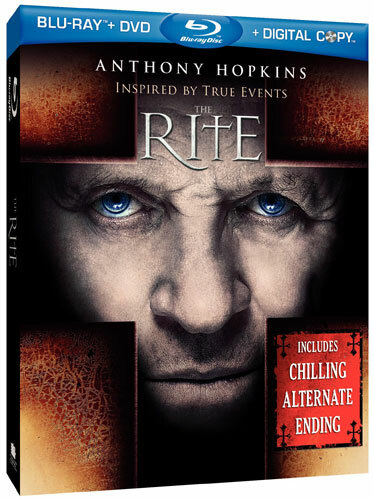 The latest attempt is The Rite, featuring Anthony Hopkins in a usual casting as an eccentric and esoteric exorcist priest. 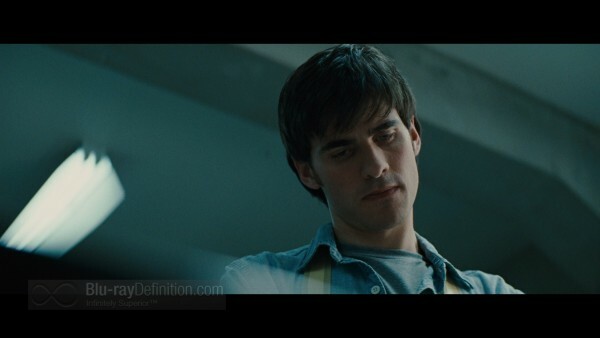 Far from original and often less scary than overburdened with seriousness and the lavishness of its sets, The Rite spins the not-unusual-tale of a young man, Michael Kovak (played with exceeding dullness by the young Irish newcomer Colin O’Donoghue) studying to be a priest to meet the expectations of his mortician father (Rutger Hauer) and haunted by the suicide of his beloved mother when he was just a young boy. Michael is having a crisis of faith. He doesn’t believe in God or the devil for that matter. In fact, he hasn’t been a believer since his mother died, we’ll eventually come to find out. But Michael goes to seminary school to get his college education – the only way his father will pay for it – and then he’s going to bail out before he takes his final vows. The thing is, the school has the right to convert his scholarship into a loan should he refuse to take his vows, so he’s convinced to go to Rome for two months to take a course on exorcism. 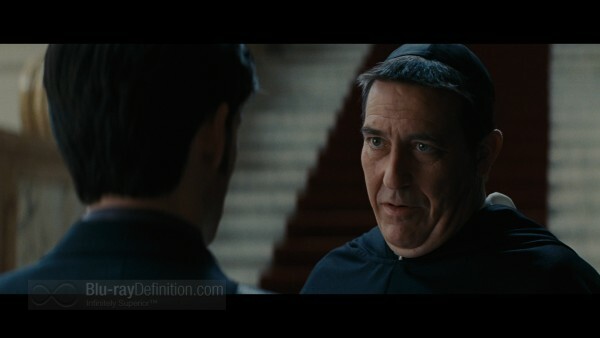 When in Rome, his professor, Father Xavier (Ciarán Hinds), sensing his skepticism, refers Michael to a local exorcist from Wales, Father Lucas (Hopkins). 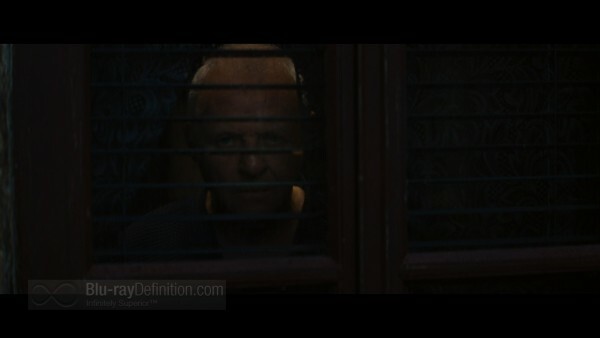 Seeing Lucas’ methods, Michael is both intrigued and dismayed. 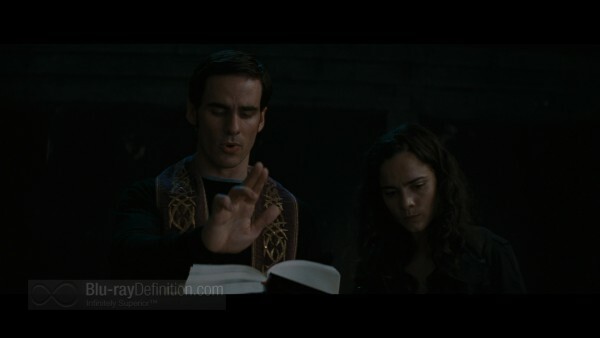 A pregnant girl is supposedly possessed and Lucas has been exorcising her for months. Michael is appalled, convinced the girl has been raped by her father and is internalizing her guilt and fears. But strange occurrences and Michael’s friendship with a beautiful Italian journalist covering the exorcism classes keep him intrigued and coming back for more. When the young girl dies and Michael starts experiencing strange visions that a boy claiming to be possessed also described, things take a dark and violent turn. Are demons and the devil real? And, who is the evil one? The Rite is less gimmicky in its use of special effects than The Exorcist, even if it does have its moments where it comes dangerously close to, to paraphrase the character Father Lucas, giving us spinning heads and pea soup. The problems with The Rite are it is all very predictable, offering nothing we haven’t seen in every exorcism movie ever made and O’Donoghue is completely lifeless in the lead role. The Rite‘s AVC/MPEG-4 1080p shows a strong amount of detail with deep blacks that really bring out the moodiness of the production. 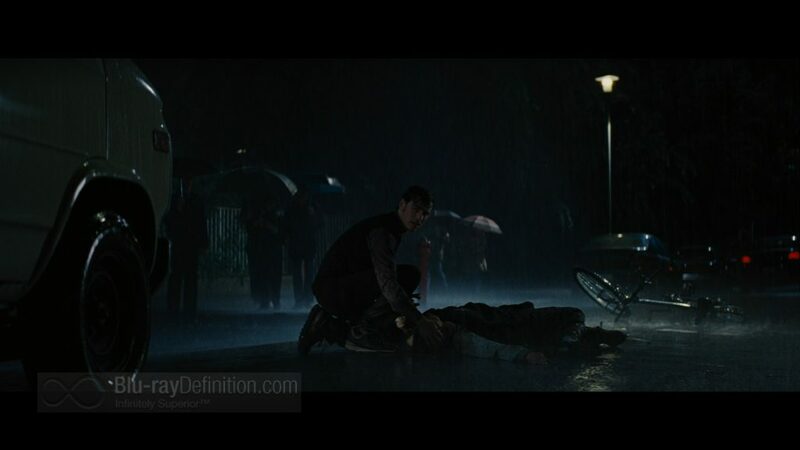 Flesh tones are a bit on the pallid side, but they work well in the context of the film and the surrounding set. There’s an obvious, but not overwhelming layer of grain that imparts a film-like quality to the presentation. I did notice a couple instances of aliasing, but mostly the transfer looked rather clean and free from artifacts. The lossless DTS-HD Master Audio 5.1 surround mix is rather atmospheric, surrounding the listener in a dark, moody and cavernous atmosphere of eerie sounds, deep bass, and full, natural sounding dialogue. High frequencies are very reserved and full of air while dynamic range is rather wide. 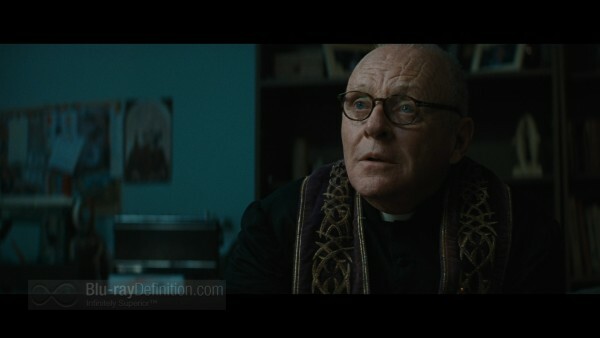 In relation to the film, the most interesting supplement will be the brief featurette that introduces Father Gary Thomas, the real-life exorcist whose story inspired the film. Beyond that, there’s an alternate ending that puts a slightly different twist on the film and some deleted scenes that don’t add much at all. The BD-Live section does give a good peek at Warner’s forthcoming Clockwork Orange 40th Anniversary Blu-ray and four-minutes of the Green Lantern theatrical release, which is fun for sure. The Rite: Soldier of God (1.78:1; 1080p/24; 0:06.40) – Meet Father Gary Thomas, the Vatican-Ordained Exorcist whose life story inspired the film. Go inside the actual exorcism academy and hear eyewitness accounts of real-life exorcisms. If you’re a fan of The Exorcist you’ll be let down by The Rite, as it comes off as a poor imitation of that film. If you go into The Rite expecting a strong supernatural horror/thriller, you’ll also be disappointed, as it lacks suspense and you can pretty much predict what’s coming every step of the way. Although this Blu-ray release offers a decent home theatre experience, I’d have to recommend skipping this one or perhaps just renting it on a slow – and I mean really slow – weekend.